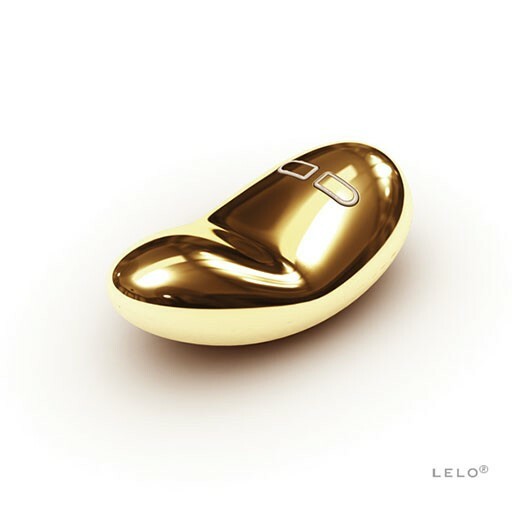 The First Ever LELO Pleasure Object in 24-Karat Gold Plate A luxurious pleasure object, YVA is crafted in stainless steel or 24K gold plate, with a deep and resonant vibe. A luxurious pleasure object, YVA is crafted in stainless steel or 24K gold plate, with a deep and resonant vibe. The use of metal allows for a sensual experience of hot or cold. Discreet and quiet, YVA is rechargeable and a 2-hour charge provides up to 7 hours of use. Comes in an elegant wooden gift box and accessorised with charger, manula, and satin pouch as well as a 1-year LELO warranty.